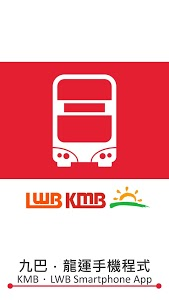 Brand new KMB ‧ LWB Smartphone App is a multi-functional app which provides users with the estimated bus arrival time, updates on bus services and the latest route information to help with journey planning. Passengers can obtain estimated bus arrival information and journey time of bus routes. Store frequently used bus stops and locations in the app and get estimated arrival times of routes observing these stops. 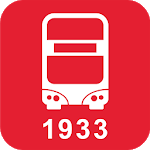 Receive instant updates on any temporary traffic arrangements affecting bus services. 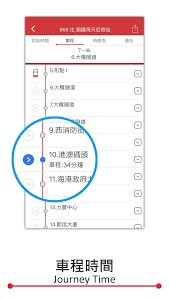 Share the desired route information to your friends. 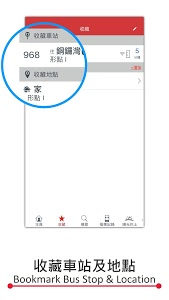 Find your desired route with the help of more landmarks in the °ßpoint-to-point°® route search function. 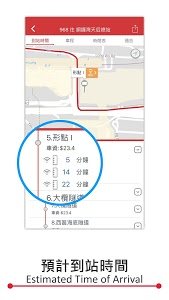 Find your way to the nearest bus stop by using GPS. 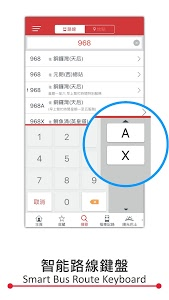 Similar to "APP 1933 - KMB/LWB"